As the 21st century unfolds more companies are moving towards an analytical approach, optimizing and innovating at ever-increasing speeds and getting more in touch with the market and their customers. That’s what brought about the creation of Collective Innovation’s IdeaLab, a new idea management platform developed by new products and marketing managers to give organizations the tools they need to be sustainably competitive with direct customer insights and engagement. The Collective Innovation platform helps organizations exponentially increase their level of internal innovation, and do so equally at increasing scale. Not only can you solicit ideas internally or externally with Collective Innovation, but you can also have locations serve as ideas, allowing customers to suggest store locations or giving local citizens the chance to identify areas of improvement. Another unique feature is Instant Poll, which is a one of a kind system for getting actionable consensus on new product ideas, designs, or product names. Input the choices, select a distribution list, and watch as it sends out a one-click email survey, delivering the results right back to you within 48 hours. Instant Poll gives a company with 100,000 employees consensus just as quickly as a startup with 10. It delivers better, faster decisions with reduced time spent in meetings. Other features include user rankings, customizable emails, an easy-to-use design editor for matching the site to the brand style, and the ability to issue challenges directly to the audience with special features like a countdown timer and participation incentive generator. Collective Innovation’s IdeaLab wasn’t just built to help create products with greater differentiation — it also serves as a tool to engage with customers in a meaningful way that allows them to become brand ambassadors. Several studies have proven that customer engagement and loyalty are extremely important to the success of an organization, the IdeaLab platform was designed and optimized to maximize positive engagement. In most organizations ideas come mainly from the very top, while Collective Innovation allows you to give every employee an opportunity to help the organization get a competitive advantage: product enhancements, new model lines, cost savings, engineering, marketing, sales, and business culture innovations. We believe being able to consistently innovate is the only path to a sustainable competitive advantage. Collective Innovation can be used as a complete private tool or as a vibrant public community for customer engagement and insights. 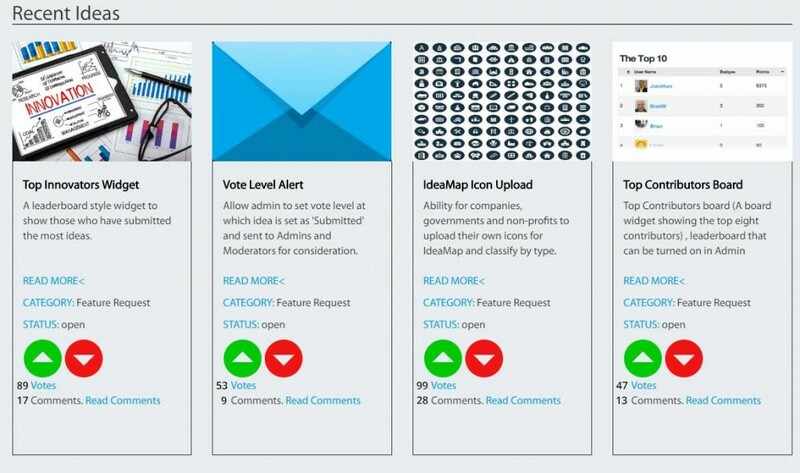 Cities, neighborhoods, and government agencies can also use it to easily get feedback for proposals and areas for improvement suggested right onto the map, including crosswalks, parks, sidewalks, bus stops, and other areas of needed development. 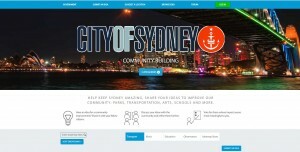 You can build your own crowdsourced innovation community here.